The Cali Prospects Showcase Is Impressive As Always. The Eels General Manager Frank Scarpaci and Scouting Staff is again very impressed with the players in attendance. There is a strong core of players here some very high-end guys from various Tier I U18 and U16 teams as well as some very talented junior players from across the USA Canada and Europe. The Scouts in attendance are from the USHL BCHL NCDC NAHL WHL USPHL WSHL. And many Canadian Junior leagues. The Eels have been able to sign several players from this showcase in years past and are very optimistic about signing players for this upcoming season out here in California. The area is no longer considered “non -traditional” markets. Like Florida Arizona Colorado and Texas, California has become rich in talent. The Eels who have players from across the USA – Massachusetts New Jersey New York Vermont Maine, Rhode Island New Hampshire Pennsylvania Maryland North and South Carolina Missouri Michigan Minnesota Colorado Alaska Oregon Washington Tennessee Texas Florida Illinois Indiana; across Canada – Quebec Ontario Toronto Vancouver Edmonton; Europe Russia Slovakia Sweden Finland Switzerland France Spain Germany – illustrates that the Eels are no strangers to global recruiting. With the Eels is does not matter where the players come from we just want the best talented players who conform to the high character requirements of the Eels program. In our own showcase games in Boston in May the Eels have players from across the USA Canada and Europe. It will be once again very exciting for our players who will get to play with and against the top players from around the globe. No Time Off This Easter Weekend. The Eels General Manager Frank Scarpaci is on the road again this weekend heading to LA California. For the 4th straight year the Eels will be heading back to LA scouting some of the top Junior, Tier I AAA U18 and U16 players from the west coast. The Eels will be in good company as they will be joined by all of the USHL, WHL and BCHL teams. The competition for players is keen but that does not sway the Eels resolve to recruit these higher end guys back to Florida. We seen over the last decade and particularly this last season, some of the top players in the world want to come and play for the Eels. Very few programs offer 3 hours per day training, nor do they garner the attention of the college scouts. Our 4 showcases places our players under the radar of the decision makers. The visibility and exposure is second to none. The Americas Showcase last weekend was phenomenal. We signed some very strong players. We look forward to the Cali Showcase as well. The Eels will be heading to Canada the following weekend and then off to Boston Mass where will be hosting teams at the Pro Am and USPHL Showcases. Florida Eels coaches recruiting mission very successful at the USA Hockey Nationals Americas Showcase in St Louis. Eels GM sign key prospected who are expected to be immediate impact players. GM Scarpaci notes, there are several other players who we expect to sign this week. This was an impressive showcase. Coach spent the entire 4 days scouting and meeting with parents and players. Although there were 400+ players there, the Eels look for quality and were very selected in their scouting and recruiting. We are looking for high quality players who also meet the character and integrity of the Eels program. The Eels Premier coach Frankie Scarpaci, Elite Coach Alex Sanchez and General Manager Frank Scarpaci head to St Louis this Thursday – Monday for the USA Hockey High School All Star Nationals – the Americas Cup. The Eels have been scouting and recruiting at the Americas Cup for over a decade. We have brought in over 30 of players over this period. The showcase format selects high school all-stars from various regions and places them on respective teams. For example, there is a team from Massachusetts, New England, New York, New Jersey, 2 from Missouri, Pittsburgh, Illinois, Indiana, 2 from Florida, Texas, 2 from California, Oregon, Pacific Coast, Arizona, Washington State, Washington DC, Maryland, Ohio, Michigan, North Dakota, Montana, Utah, and a ½ dozen others. In all, there are over 550 players annually. Competing at this event. We have already spoken with several players and are very encouraged by the opportunities presented at the America’s showcase. Three Days till the Eels Coaches head to the Americas Cup - the USA Hockey High School All Star National Championships in St Louis MO. This is the first of 12 Post Season Showcases that the Eels coaches will be scoring and recruiting players for the 2019 season. The Eels have been attending this event dating back 20 years when it was called the Chicago Cup. There will be in excess of 500 players who are solid prospects for our teams next season. Over the years the Eels have successfully recruited and signed 25+ players on its Elite and Premier teams who all advanced to college hockey programs. Somang Hockey in Montreal Has Joined the USPHL As a Scheduling Partner and Somang has partnered with the Florida Eels as a affiliate member. The Eels will work with Somang as a vehicle to advance its players to the Next Level - the Florida Eels Junior Elite and Premier teams as well as to college hockey. The Florida Eels are excited to announce that Alex Sanchez will be taking over as the new Head Coach of the Florida Eels Elite team. Coach Frankie Scarpaci, Eel Premier coach will be coach Sanchez’s assistant on the Elite team. Coach Sanchez will continue as the assistant coach of the Premier team. Having both Sanchez and coach Frankie Scarpaci working as a solid unit on both teams will bring about the unity and synergies that we are looking for amongst the players. General Manager Frank Scarpaci is very excited about Sanchez coming on board as a full-time coach. He did a phenomenal job as assistant on the Premier team. Alex played 4 years for the Florida Eels. In 116 games, he scored 31 goals and 88 assists for 119 points averaging 1.03 PPG. He is 2nd in all time Franchise points. He is 5th in all time Franchise goals. He is 2nd in all time Franchise assists. He is 1st in all time Franchise games played. (153) He was team captain of his last year with the Eels. His teams reached numerous heights making it to the Frozen 4 in the USPHL and the finals in his last year as Captain. There is no doubt Coach Sanchez has the experience as a player. He has been through the trenches and has experienced first-hand what players need to do to win. The fortitude, the determination and dedication each player needs to exude. The need for each and every player to have the will to win and make the sacrifices to reach those ends. Coach Sanchez also played NCAA Div. III Hockey at Aurora University. He will bring his experience of playing NCAA college hockey to his players. It is not just having a dream of playing college hockey. It is a process of development. Players need to understand the journey involved. This will be a phenomenal coaching punch. Having both Coach Alex Sanchez and Premier Coach Frankie Scarpaci working with the Elite and Premier players. We have added so much depth in our coaching echoes General Manager Frank Scarpaci. Synergies all around from the ice, skills training, systems, philosophy, intensity, experience, off ice training, video analysis… Nowhere in the league will you find this support. We look forward to next season guys. I know so many of the players have already heard and are so excited about the change. THE FLORIDA EELS ARE HONORED TO ANNOUNCE OUR 7TH COLLEGE COMMITMENT THIS SEASON A HUGE CONGRATULATION GOES OUT TO BRIAN KOZEK AS HE COMMITS TO FRAMINGHAM STATE UNIVERSITY. The Florida Eels are honored to announce our 7th College Commitment this season A huge congratulation goes out to Brian Kozek as he commits to Framingham State University. He is no doubt one of the Florida Eels top academic students. He had many NCAA Div. III options. He was honored to have been recruited by so many well-known and respected college coaches from some very prestigious colleges and universities. No doubt FSU loves what they saw in him both from a tangible and intangible basis. Kozek is from Chicago, IL. He has been with our Eels Junior program for 4 years. He is a model for USPHL and the Florida Eels player development. Initially he played for the Eels Empire team, then the USP3 team, then the Elite team and this year our Premier team. It was all about developing his skill set and getting him ready for college hockey. This season he was voted as team Captain as he was also Captain on his USP3 team and assistant Captain on the Elite team. He did an incredible job with leadership responsibilities on each team he was on. He is a great character young man who comes from extremely loving and supportive parents: Anne and Mike Kozek, who were supportive in every way to facilitate and allow their son to reach and realize his dreams and goals of advancing to the Next Level: College Hockey. In fact, Mrs. Kozek moved to Florida and billeted numerous Eels Junior players over the past 4 seasons and has been real surrogate mom to our players, and has had a major impact on their lives. The Kozek’s have been dedicated volunteers with the Eels program. Eels Premier coach, Frankie Scarpaci noted in his player profile and scouting report: This Eels veteran has a big leadership role. A big physical defenseman that plays in all 3 zones. A guy you want in the trenches with you in big games. As a defenseman, he makes excellent first passes out that college coaches look for. He battles extremely hard in front of his net. He plays like he has deeded rights to the crease. Also, a monster on the boards. Possess excellent gap control. Block shots. In addition to his defensive skill, he has excellent offensive abilities. Indeed, he is the lead leading goal scorer for a defenseman. He has a hard-heavy shot from the blueline that gets through traffic. On the powerplay and regular shift. He gets sticks in lanes on the penalty kill. This season like in his previous seasons with the Eels, Brian was selected by a panel of coaches to the league’s All Star Team. Kozek is looking forward to becoming a FSU Ram and playing for Coach Guy Angers. FSU plays in the prestigious Massachusetts state college league MASCAC. Brian will be playing against Plymouth State, Salem State, Worcester State University, Fitchburg State, Westfield State, and the University of Mass Dartmouth. Coach Angers has been coaching for over 8 years at FSU. He is building a strong program that his players and the University can be proud of. Kozek is use to a coach like Coach Angers who brings enormous passion, excitement and creativity to a team. Brian is excited as well as he is joining 2 former Eels teammates: Goalie Nolan Greene and forward Michael Gennello who play for the FSU men’s hockey program. We wish the best of luck to Brian. There is no doubt that he will make us all proud in his endeavors and studies at college. The Florida Eels are proud to announce that Sean Doyle has committed to Concordia University Wisconsin and will be playing for its ACHA Division II hockey program. Sean is the Eels 8th college commitment for this season. In fact, Sean Doyle is the Florida Eels 5th Florida Eel player to attend CUW and play for its ice hockey program. Eels alumni include Jari Sanders (former Captain of the Falcons), Joel Stevenson and Eels Premier team head coach Frankie Scarpaci all played for CUW NCAA Division 3 Falcons. Victoria Smith currently plays for CUW’s women’s team. Doyle is a native of Naples Florida. Sean has been an Eels his entire playing career. He played his youth hockey right here in Ft Myers at the Ft Myers Skatium as a peewee bantam and midget. He is an excellent example of Florida Eels player development model. He is a gifted athlete who plays multiple sports including lacrosse. Sean was elected team Captain of the Eels Elite team this season by his peers and coaches. He showed strong leadership skills both on and off the ice. General Manager Frank Scarpaci noted that he counted on Doyle to be his right-hand guy in a myriad of responsibilities including organizing team meetings, setting up team video analysis sessions, and assisting with the Hockey/Fast Hockey operations of weekly broadcasting of Premier and Elite games. He will for sure be missed next season. Sean Doyle is a solid defenseman. He is 5’09’ 180 pounds. Shoots left. Sean was leader on our Defensive-core. Sean is a very talented multi-sport athlete, which transitions nicely on the ice. You can see this from his movement on the ice. – an example of a true athlete. Sean has good vision and good hockey sense. He makes clean smart veteran first passes out. He battles extremely hard in front of the net and along the boards wearing down opposing forwards. He is smart and protects the defensive zone first. Very good in all 3 zones. Outstanding one-on-one and very good gap on zone entries. He has a very hard shot from the point. Solid on special teams both power play and penalty kill. Very knowledgeable of the game and makes a strong captain in communicating and advocating with the officials. General Manager Scarpaci comments, “Doyle has a very strong work ethic. He is one of the most dedicated and determined young men on our Elite team this season. To improve his game, he stayed an extra 1 ½ hours each day shooting 150 pucks. He volunteered as a coach in the rink’s house rec league giving back to the game and you can see how these extra things enhanced the knowledge of the game and his abilities on the ice. He is an impassioned young man. Strong will to win. He also worked part time 20+ hours per week while also attending college part time throughout the season. This is a high character young man echoes GM Scarpaci, who has strong integrity and this will follow him into college. He is extremely excited about the opportunities ahead of him at CUW. In addition to his passion in playing ice hockey, Sean is a gifted artist and plans to pursue a career in art, art design and drawing and its related profession. You can readily see the passion flowing in his eyes when he discusses his path, He comes from extremely supportive parents Jeff and Misty Doyle who have made enormous sacrifices to enable their son Sean to realize and fulfil his dream of attending college and advancing to play college hockey. The Doyle’s were also one of our key families who stepped up this season when Hurricane IRMA pounded Southwest Florida and displaced many of our billeted hockey players. They opened their home and family as shelter and provided the comfort of a home and food and safety to ½ dozen young men; their unselfish generosity will never be forgotten and speaks volumes towards the character and morals of Sean’s upbringing. We wish Sean Doyle the very best in college. The Florida Eels are excited to announce our 4th college commitment for this season and its overall 205th player to advance to college hockey. Jeremey Hamerquist -1997 Commits to William Patterson University ACHA Division I. WPU is located in Wayne, New Jersey. Jeremy is from Woodland Park, CO. He has been the Eels Elite top netminder all season. He is an exceptionally intelligent young man who had multiple choices for next season and weighed his options but felt that the academic and hockey program at William Patterson University best fits his interest and is so excited to have chosen WPU. Hamerquist has done a phenomenal job all season. He had spent some time with the Eels Premier team during the season as well. Hamerquist has been an excellent leader in the lockerroom. Hamerquist had backboned the team’s success and has taken charge in their recent march to the playoffs. He has good size. HEIGHT: 5’10”; WEIGHT: 177 LBS., catches Left. SCOUTING REPORT: Mature goaltender who does a good job in controlling the game. Plays the puck well. Great vision. Great tracking the puck. Very quick glove. Butterfly style. Battles shooters. Very Vocal He is so much looking forward to becoming a Pioneer and playing for such experience coaches as coach Joe Balance and Assistant Coach Ian Michaelchuck. These coaches are amongst the Elite in college hockey. I am looking forward to their mentorship. Coach Ballance will be entering his 11th year as a collegiate level coach and his 9th with the William Paterson University Pioneers. During his tenure, Coach Ballance has led the Pioneers to five championships (10’,11’,12’,13’,16’), including four consecutive Super East Collegiate Hockey League (SECHL) Championships in row (10’,11’,12,13’). He has guided the Pioneers to the SECHL championship game in each of his 8 seasons as Head Coach. He also has led the Pioneers to 7 National Tournament appearances in his 8 seasons. Hamerquist has a phenomenal work ethic. He is often found at the rink 2 hours prior to practice working on his agility, dissecting games he played and upcoming opponents studying opposing shooters tendencies. Now that shows his determination and dedication. He is a player with a high compete level and will to win. He will bring those intangibles to WPU hockey program and to WPU. Jeremey and his family have made enormous sacrifices over his youth and junior hockey career to help their son realize his dreams. Congrats Jeremy. Think about how stressful it can be to learn about the recruiting process overall, and about the college admissions process as you get closer to your senior year. Put that same learning curve, the same nerve to figure out a complex project with a definite due date, into a much smaller window — and you get the FAFSA. The window to complete the Federal Application for Student Aid opens on January 1. You can really submit your FAFSA at any time, but some families feel time crunch because depending on your school, state, and the type of aid, awards go out first come, first served. Don’t stress. Seriously. This paperwork isn’t going to hurt you. Here are the top ways to fill out the FAFSA without stressing out about it. Don’t make mistakes filling out your FAFSA. Check out this post to avoid the most common mistakes. There are a bunch of advanced tips about the FAFSA from Chegg that can help you understand some of the more complicated arrangements some families might pursue to maximize their student aid. Did you know? For students who attend school for 4 years, the average incurred cost of loans is approximately $147,000. In addition to the general bucket categories we listed above, you’re going to need to have a couple of things on hand that you probably don’t have memorized. Take some time to gather them together so you don’t feel like you’re searching through your lockbox and paperwork and losing your place in the FAFSA. any additional benefits you might have: welfare, veteran’s, social security, investments, etc. any additional financial figures that you might need to report: businesses, mortgages, etc. This will all help the FAFSA compute your Expected Family Contribution. Please remember that no matter your family’s income, it behooves you to complete a FAFSA. Did you know? Missing out on important financial aid information can mean paying as much as $90,000 extra. Know that this is an unavoidable step in the recruiting process – and make it fun. This might come from years trumpeting that my sport was other sports’ punishment, but I am a firm believer that there’s a silver lining in everything. Hill repeats? There’s going to be a downhill soon enough. Circuit workout? Get an awesome song playing and it’ll make the time fly by. Do the same when you fill out the FAFSA. Put on some music that everyone enjoys. (I know, I have a dad, too — that might be easier said than done.) Give yourself a reward when you’ve finished it – maybe the family can go out for pizza or an ice cream. The FAFSA may seem like a chore, but it doesn’t have to be; after all, it’s time your family gets to spend, together. The Eels used Statstrack in the last 25% of the2017-18 playing season. The coaching staff loved it. It was the cutting edge in coaching. These tools allow the Eels coaches to bring our players and our team to clearly the Next Level. We do not know of any other Tier II III Junior hockey program utilizing these tools. This program is college and pro level material and it clearly gives the Eels an edge in its program. Below are some of the highlights of Statstrack. But clearly from a player’s perspective the Eels again prove to be on the cutting edge in player development. Statstrack records the important in-game stats, where and when they happen and who makes them happen. Statstrack organizes the data in real time to impact both in-game decisions and long term practice and game strategies. At the click of a button and in real time, Statstrack provides the hockey intelligence reports needed to analyze team and player performance. Track key ‘in-game’ events, where and when they happen as well as how much time is spent in the offensive and defensive zones with easy to use gesture based tracking capability. Analyze the data to provide hockey intelligence that players and teams need to make better tactical and strategic decisions all season. These insights are generated through a flexible reporting system that allows customized reporting. Statstrack tracks, measures and manages key hockey metrics of players and teams. It is simple to use and enhances the learning process for players and teams by providing coaches, parents and other stakeholders a quantitative measurement of a player and team’s performance. Statstrack also provides a sophisticated reporting system that allows teams and players to look at the data in ways that provide actionable insights that can be used to prepare more effectively for games, allow for better in-game decisions and can be leveraged to show the progression of individual players on various metrics. Statstrack has been endorsed by the NHL Alumni Association. The Florida Eels Are Once Again Pleased to Announce Forward Caden TChop Has Committed to Waldorf University For the 2018 Academic Year. This is the Florida Eels’ 14th college commitment this season. The commitment raises the Eels advancement to of its players to 225. Now that is impressive. The Florida Eels are the pinnacle of Premier and Elite Junior Hockey. The Eels play in the USPHL and has two teams in the league. One plays in the USPHL Premier Division and the 2nd team plays in the Elite Division and has a direct Affiliation with its NCDC Affiliate the Islanders Hockey Club. The USPHL Elite and Premier Divisions have 2,600+ NCAA Division. 1 and 3 Alumni. We average 90+ NCAA Division I commitments per season and another and 100 NCAA Division. III commits. Those are incredible numbers. Only the USHL has more. Simply put the USPHL is known as a college placement league. No other Tier II or Tier III Junior league can come close its accomplishments. The Eels average 15 college advancements per season. Each Eel players have a minimum of 3 NCAA college opportunities before them. That is an enormous accomplishment for the Eels program and each one of these boys. The Eels Program is all about player development. As you can see some programs say this but the Eels go beyond lip service… it defines excellence. This is what the Eels are all about: Player Development; and move players to college. It is most impressive to see our program accomplish this mission. The Eels continue to be the pinnacle of excellence. Don’t you feel YOU deserve this? The Eels have a few roster spots remaining on their teams for next season. We are not looking to simply fill these spots. We are looking for the RIGHT players. Individuals who have the determination, dedication, and passion to be the best. We are looking for the players who have those intangibles with the will to win. Willing to make all sacrifices for their team. If you fit this benchmark and are looking for a program that offers training 3+ hours per day 5 days per week, and attends 4 college showcases to garner the visibility and exposure you need to get to college- then please reach back out to us. I would love to talk with you. The Florida Eels is proud to announce its 12th college commitment for the 2018 season: Brandon Rosario commits to Neumann University. Rosario 6’0” 180 pounds is from Glen Rock NJ. He is a forward. 2nd year veteran with the Eels program. Eels Premier Coach Frank Scarpaci noted, Rosario was one of the Eels most valuable players this past season and was amongst the team and league’s leading scorers. In fact, he and his linemates Colton Crabtree and Nikita Lopatin dominated in the league goals and assists as a line. Rosario will be joining Eels alumni Clayton Boyd and Zach Boyle who started at Neumann last season. Very impressively, both Clayton and Zach made a mark in their debut in their freshman year. This is indeed unique in college hockey as most freshman do not get much ice time until their sophomore year. But continuing in the Eels tradition they broke the barrier. This is a direct correlation of the quality of training bestowed on our players. Coach Alex Sanchez of the Eels noted, Rosario’s commitment is another milestone for the Florida Eels. This commitment marks the Eels 222 players they have advanced to college. That is an accomplishment held by a very few in Junior hockey. It puts the Eels up there with an Elite few. We are very proud of our legacy echoes General Manager Frank Scarpaci. Players like Rosario have made significant sacrifices including 600 hours per year in the ice, in the gym, video analysis, 44 league schedules, 4 college showcases during the season, 2+ post season showcases, 3+ days per week of video review and analysis and more all for one purpose: To Reach the Next Level – College Hockey. This isn’t and easy task. If it were everyone would achieve it. But they don’t. NCAA Div. III hockey is not an easy attainable bar. Players like Brandon Rosario should be very proud of reaching these goals. Coach Scarpaci noted, Rosario was one of the team’s assistant captains this season. He handled his role very well, exemplifying strong leadership skills on the ice, in the locker-room and during off ice. He is a high character individual who brings enormous passion to the game his self and his teammates. His perseverance dedication and determination paid off with high dividends. He had numerous offers being one of the team and league’s leading scorers in goals and in assists. But Brandon was very selective and Neumann was his first choice. He wanted to play for a strong academic university that would satisfy his high academic standards and future career plans. He also wanted to play for a respectable college hockey program that was rich in tradition and heritage, Clearly Neumann University fit this bill. Rosario was very excited with the prospect of playing for Head Coach Kyle Mountain who in his first year as head coach of Neumann had a very impressive record of 16-8-3 and took the Knights to the ECAC West Semi Finals with a close game losing to Utica 4-3. Moreover, Neumann plays in the extremely competitive schedule against the likes of Utica, SUNY Geneseo, SUNY Brockport, Manhattanville College, Elmira College, Oswego State, Saint Michaels College Nazareth College, Buffalo State, Curry College, Manhattanville College, Lebanon Valley College and many others. SCOUTING REPORT: Brandon is an Eels veteran who can play in all situations. His acceleration in his skating is unmatched with his explosive speed east to west and north to south. Has great offensive ability and really likes to control the pace of play but is exceptional defensively. His ability to open up his hips to protect and shield the puck is elite, especially since he doesn't lose speed while doing so. He doesn’t quit on pucks and really works on the little things of the game. He has a high compete level and strong will to win. He has an exceptionally high hockey IQ. Top guy on power play and penalty kill. Tenacious fore-checker and equally determined on the back check. Very effective along the boards. This kid is a winner. Period. Brandon comes from very supportive parents. They have made significant sacrifices over the years for their son. In fact, he is one of 3 boys in his family playing ice hockey. The Eels wish Brandon well. He is a very dedicated young man who will make his new team proud that he has committed to Neumann University. Yes, the Florida Eels makes available through daily notifications over $5,000 each day notifications from Scholarship and Grants Available from private and public foundations scholarships and grants monies available to our players. This is over $1,000,000 per year. Existing players and families receive daily emails through our Florida Eels Team App. The Eels players also review scholarship and grant information with General Manager Frank Scarpaci. Players learn how to research these available sources. Players write essays and make applications during the season for their upcoming college season. These sources offer hundreds of thousands of dollars of additional monies available to players. Players also receive notifications of internships in furtherance of their discipline. Moreover, these scholarships and grants are separate and apart from the finical aid packages available by the colleges and universities financial aid offices. The Eels staff takes the time and exerts all efforts to assist its players in garnering these funds to help make their college experience and opportunities affordable. The program is tough and is not for everyone. There are a lot of summer camps out there and this is very different. It is a very high-level training program designed for Junior and College level players. The drills are very high tempo and extremely demanding. The Off Ice is NOT optional. The players must partake in these sessions. We are only looking for the most determined and dedicated guys in these training sessions That is why the college alumni come back. They know what the Eels coaches expect and demand. This is serious business for the college guys and they love what the Eels provide. CCM representatives will be at the Fort Myers Skatium on Tuesday August 21st for stick and skates demo. All Florida Eels Junior players will have an opportunity to check out the CCM in and make arrangements to place orders. CCM is an official partnering sponsor with the Florida Eels Junior program. Florida Eels junior players wear CCM gloves, helmets game jerseys practice jerseys and most players have elected to purchase CCM skates. The Eels are once again excited to report that the fruits of the USPHL May Showcase, the Pro-Am NHL Pre-Draft, the USPHL Summer Showcase and the Pro-Am Sr. Chowder Cup have been very strong. Indeed, the Eels have signed a total 23 veteran and new players to its 2018-19 season. We have garnered some very good players from these venues in the past and this year these forums have proven once again very strong in our recruitment efforts. As you know the Eels coaches cross the USA Canada and have supporting scouts in Europe. Many of our players emirate from recruiting trips to the Global Showcases in Vancouver, Chicago and Las Vegas. Others are recruited out of CCM Americas Showcase the Pre-Draft Combine in Michigan. While others come to our local tryouts. But nothing equals the New England Showcases for gaining experience with prospects and evaluating them in very competitive games. HOW TO DETERMINE YOUR NCAA ELIGIBILITY. The NCAA Eligibility Center is the arm of the NCAA responsible for determining the academic eligibility and amateurism status for all DI and DII student-athletes. In addition, it also sets the recruiting rules via the NCAA Recruiting Calendars. Previously, this part of the NCAA was called the NCAA Clearinghouse, but now, the NCAA Clearinghouse and NCAA Eligibility Center are the same process. The most important thing to understand as a prospective student-athlete is that the NCAA is there to determine your eligibility, not to provide guidance on how to get or maintain your college eligibility. It is the responsibility of the student-athlete to understand the academic and amateurism requirements and make sure they are on track to meet those requirements with the help of their high school guidance counselor and school administrators. What type of NCAA account do you need? What is the Eligibility Center for? NCAA Certification Account or Profile page: What type of NCAA account is right for you? 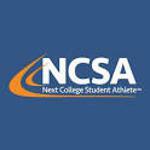 If you are actively being recruited at the NCAA DI or DII level, or you are very confident you will be competing at that level out of high school, you should register with the NCAA and create a Certification Account. If you aren’t sure of your division level, you should create an NCAA Profile page so you can easily transition to a Certification Account if needed. What is the purpose of the NCAA Eligibility Center? For prospective college student-athletes, the NCAA Eligibility Center is the part of the NCAA that will ensure you meet the minimum academic requirements and are considered an amateur athlete. It does this by reviewing your high school transcripts (official copies only), SAT/ACT test scores and reviewing the answers to your amateurism questionnaire. In rare situations, the NCAA will require additional information surrounding your high school classes or athletic competition, but most athletes pass through the NCAA Eligibility Center without incident. How do I register for the NCAA Eligibility Center/Clearinghouse? The NCAA has a very user-friendly website at the NCAA Eligibility Center. Give yourself at least 15-30 minutes to complete the initial registration. Before your register with the NCAA, make sure you have a valid email address you will have access to after high school. If you are creating a Certification Account, you will need a method of payment for the account. Insider Tip: After creating your account, you will need to have official copies of your high school transcripts (from all schools you attended) and copies of your SAT and/or ACT scores sent to the NCAA. How do you get an NCAA number? Go to the NCAA Eligibility Center website and create either a Certification Account or Profile page and complete the initial registration process. Allow at least 15-20 minutes to complete the initial registration. Academic Requirements – Complete 16 core courses, have a minimum GPA of 2.5 in those core courses, and meet the minimums of the sliding scale in your combination of core course GPA and SAT/ACT test scores. Amateurism Requirements – Athletes cannot obtain amateurism status if they have received compensation that exceeds actual and necessary expenses. Athletes also cannot accept payment for media appearances based on their athletic ability, endorsing commercial products or accept prize money beyond actual/necessary expenses. Learn more about amateurism requirements. How long does the NCAA Eligibility Center take? Creating a Certification Account – This should happen your freshman or sophomore year of high school. Having up-to-date transcripts after your junior year – The NCAA will be “locking in” your core course GPA for your first 12 courses after your junior year. Sending in final transcripts and requesting final amateurism certification – After you have completed high school, you will send your final transcripts and request your final certification. Insider Tip: If you are enrolling early (common for elite level DI athletes playing in the fall) or have a unique situation coming out of junior college, your process could be slightly different than the one detailed above. In both of these scenarios, the college recruiting you will likely be in touch and providing assistance. The most important thing is that you have a Certification Account, it is up to date and all of your most recent academic records on are file with the NCAA. How do I contact the NCAA Eligibility Center? Get evaluated and matched with college coaches. Listed below is Florida Eels CCM apparel that we have in stock and the price of the apparel. If you are interested in purchasing any of these items, please give Clare a call at (941) 400-0712. Hockey scholarship opportunities are extremely limited because hockey is offered at significantly fewer colleges than most sports. That’s why learning exactly how the hockey recruiting process works from a trusted resource like NCSA is essential. When does the hockey recruiting process start? 1. The hockey recruiting process starts in middle school. Hockey recruiting starts early because the competition for scholarships for hockey is extremely high. There are fewer than 500 men’s hockey programs, and nearly 350 of those are ACHA (American Collegiate Hockey Association) teams, which don’t offer scholarships. Schools are very selective and preparing for a hockey scholarship has to start early. 2. A third-party evaluation from a trusted neutral source like NCSA is essential and it’s important to make sure you’re playing in the summer. When college hockey coaches can identify you as a prospect using online tools from a trusted resource like NCSA, you gain instant exposure and credibility. In the process to get a hockey scholarship, summer camps and junior showcases are also essential ways to show off your skills. And, if your game needs developing and you want added exposure, a year or two in junior hockey might be a good idea. 3. The Internet is your best tool when trying to earn a hockey scholarship. Budgets for college hockey teams aren’t as big as they are for basketball or football, so the best way that a college hockey coach can evaluate you, without spending money on travel, is the Internet. Easy access to video highlights and statistics from a third-party evaluator like NCSA helps hockey coaches find players that fit their system. 4. Less than 60 colleges offer men’s hockey at the Division I level. The majority of college hockey programs aren’t in DI, so set your expectations accordingly. Nearly 90% of men’s hockey players compete at the ACHA, Division II, Division III or junior college level. NCSA is an experienced neutral talent evaluator, and can tell you what level your skills are best suited for and where you’re likely to find the most success. 5. Your coach can help with your development on the ice, but getting a scholarship for hockey is your responsibility. Your hockey coach is likely very busy and has too many responsibilities to be able to dedicate the time that the hockey recruiting process requires. There’s a good chance that you’re not the only one on your team hoping to earn a hockey scholarship, and relying on your hockey coach to manage the recruiting process for several athletes at once is asking too much. EELS OFF TO A STRONG START. DEDHAM – After an early, Friday morning victory over Tigers Hockey at the Canton Ice House, the Eels traveled over to Dedham’s Boch Ice Arena for a noon contest against the East Coast Militia. The Eels took advantage of a slow start to the tournament for the Militia, posting a 5-1 victory to improve to 2-0-0 in the Jr. A division of the 2018 Pre-Draft Showcase. Eels teammates Adam Burtzlaff and Cade Swygert scored two quick goals back-to-back early in the contest to set the tone for the game. The scores came just seven seconds apart at 4:54 and 5:01 of the first half to open up a two-goal advantage. The Militia cut that deficit in half at 16:10 of the opening frame on a Joe Idelson score that made it 2-1, but the Eels lead was back to two before the half’s end. Hayden Haldane with the score at 18:51. The Eels were then back at it quickly out of the locker rooms, James Cerepak making it 4-1 at 1:26 of the second half. Room was minimal for a Militia comeback, a feat made even more difficult when Ian Friz put away yet another for the Eels at 11:28. The goal sealed the Militia’s fate and the 5-1 Eels victory. Peter Barry credited with the win in net for the Eels. Sending an introductory email to a college coach can get your foot in the door with a program you’re interested in and give a coach the opportunity to conduct their initial evaluation of you. However, emailing college coaches as a means to get discovered isn’t as effective as it was five years ago. Coaches are getting hundreds—if not thousands—of emails from recruits. Simply sending an email isn’t enough to get a coach’s attention. You need to create clear, concise emails with attention-grabbing subject lines to give yourself a chance at the coach opening your email, reading it and responding. What subject line is best when emailing college coaches? In talking about how to email college coaches, the subject line always comes up as one of the most critical pieces of the email. Without an eye-catching subject line, a coach won’t even open your perfectly crafted email. Think about what would be important to the coach. Generic subject lines like “football recruit” or “looking to play for you” and even “talented high school football prospect” are going to blend into the background of the coach’s inbox. Instead, do you have an interesting stat? Do you play a unique position? Is your height and weight important for your sport and position? Keep your subject line to 50 characters or less. Coaches are on the go and probably read the majority of their emails on their phone. An extremely lengthy subject line will only get cut off, so you need to maximize the space you have. Use numbers and stats in your subject line. We’ve hinted at this before, but including key stats in your subject line can really make an impact. Plus, numbers set your subject line apart from all the words crowding the coach’s inbox. The last section should be giving them a specific next step, such as letting the coach know you will be giving them a call at a specific date and time or inviting them to come see you compete. Whatever you do, avoid sending mass, generic emails out to all the coaches you want to contact when emailing college coaches. The coach will know if you took the time to personalize your email, and it will make a difference. Coaches want to recruit players who are genuinely interested in their program—most don’t have the time and resources to recruit an athlete who is not likely to commit to their school. How much information do I need to include in my email to college coaches? This is an introductory email, so you don’t need to give the coach your whole history. Instead, tease a few key stats that you think this coach would be interested in knowing. Are you the ideal height and weight for your position? Include that. Do you have an outstanding GPA and test scores and you’re emailing an academically-focused coach? Include that. Also, make sure you include contact information for your current coaches: your club coach, high school coach, persona trainers, and anyone else that you have worked with for your sport. Then, link off to your NCSA recruiting profile where the coach can find your highlight video, all your stats and your personal statement. At the end, you want to specifically let the coach know what you’ll be doing next. If you’re planning on following up the email with a call, let them know to expect a call from you in the next few days. If you’d like to visit their campus, tell them you will give them a call to schedule a time to connect. You don’t need to use generic language like, “If you’re interested, feel free to call, email or text me.” If the coach is interested, they will contact you. Instead, tell them the next step you’re going to take, and then what they need to do in response. Insider tip: Turn on your “read receipt” function to see if a coach has opened our email. This feature is really helpful for athletes who are too young to be contacted by a coach yet. Read receipts will let you know if a coach has received and opened your email, so you can be sure to follow up accordingly. Learn more about how you can enable this feature for your next email. I’ve been following your team for a while now, and was really impressed by your team’s performance in the championship game last year—congratulations! I wanted to connect with you because I would love to be part of this competitive team. My name is Jane Doe and I’m a 6’2” forward at Generic High School in Chicago, IL. I was recently honored by being been named the Gatorade Player of the Year. I am currently a starter on my AAU basketball team and am a four-year varsity starter for my high school team. I think that my work ethic and talent would be a great match for your program. I will be competing in an AAU tournament near you on September. 5, 2017, with my first game at 1p.m. CT. I would really appreciate it if you would could see me compete in person. I’m really impressed by your athletes’ dedication to both their athletics and academics. I noticed that you not only have a winning record, but you have set the school record for graduating the most athletes! As an aspiring college athlete, I am driven to excel both athletically and academically, and I believe I would be a great fit for your program. My name is John Smith and I’m a left-handed pitcher with an 85-MPH fastball. My biggest asset is that I’m a team player who focuses both on the field and in the classroom. I’m currently in the top 5% of my class with a 4.0 GPA and a 32 ACT. I’d like to major in prelaw, and I’ve been researching your school’s well-known prelaw program. You can view my profile for more information about my athletic and academic qualifications, as well as my skills video here: www.myNCSAprofile.org. I’m planning a trip to visit your campus this September, and I would love to meet you or another member of your coaching staff. Can you please let me know if you have any availability to meet with me? I will also be calling you tomorrow at 5p.m. CT to schedule a meeting! You’re so close to sending that email, but before you do, run spell check and re-read. A great way to catch strange wording or grammar errors is to read your email out loud. When you hear a phrase that sounds wrong, you’ll know you need to fix it. You can also cut and paste your email into Google Translate and listen for any errors. Insider tip: Try sending your email between 4-8 p.m., Tuesday-Sunday. Our data show that this is the best time to send an email to college coaches. Congratulations—now you know how to email college coaches, from the research to the subject line, from address to the email body! But your work is not done yet. The Florida Eels are proud to announce that 6’2’190 pound Bryce Freel of Osceola, IN has committed to Northland College. Bryce, a defenseman, played on the Eels Premier team. Northland College is located in Ashland, Wisconsin and is a liberal arts college with a focus on the environment and sustainability as well as it has an exceptional business department. Bryce Freel is the Florida Eels 13th commitment for the 2018 season. He marks 223 Florida Eels Alumni who have advanced to college. Bryce will be playing for Northland’s Division NCAA Division 3 hockey program. Bryce is a towering puck moving defenseman. Has a howitzer of a shot that gets to the net often. During the regular season, he had 7 goals and 20 assists in 44 games averaging .613 points per game. He creates a systematic and continuous scoring threat on the blue-line as his shots create countless scoring chances. At 6’4” and a wide wingspan he’s hard to get around. He has great gap control. He’s not a large punishing defenseman and has a good stick defensively. He plays very well in all 3 zones. He dominates along the boards. Has deeded rights to the crease as he takes complete ownership in defense of that area. He plays with tremendous heart. Has the will to win. A consummate competitor. He has great vision and makes a nice clean first pass out. He will be a dominate defensemen in college and has a pro future. Freel is the 2nd player the Eels advanced to Northland. Approximately 6 years ago Nick Notto was the first Eels to join the Northland NCAA Men’s ice hockey team. Coach Alex Sanchez of the Eels noted, Freel’s commitment to Northland College’s NCAA Division 3 program is another milestone for the Florida Eels. This commitment marks the Eels 223 players they have advanced to college. That is an accomplishment held by a very few in Junior hockey. It puts the Eels up there with an Elite few. We are very proud of our legacy echoes Sanchez. Freel was a very dedicated young man who came to the rink every day and shot 100+ pucks each day. He one of the most determined young men who ever suited up for the Eels program. He showed another side of what work ethic means. His mission: To Reach the Next Level – College Hockey. As we said a 1,000 times before and we reached it 223 times, this isn’t an easy task. If it were everyone would achieve it. But they don’t. NCAA Diviwion III hockey is not an easy attainable bar. Players like Bryce Freel should be very proud of reaching these goals. We wish Bryce Freel all the best at Northland College not only in hockey but in his academic career. He will no doubt go on and make us proud. The Florida Eels are extremely pleased to report that it is now partnering with NCSA College Recruiting and Consulting Company. It is the largest and most prestigious recruiting and college consulting company in the USA and Canada. With this new partnership, the Eels players will have every NCAA college coach at their fingertips. The program will assist players in the selection of colleges and universities. The players will have their profiles uploaded and college coaches search this web site as part of their recruiting and target players for scouting and recruiting. This service clearly separates our players from an already too crowded market. It indeed elevates their opportunities and options. The players will continue to work closely with General Manager Frank Scarpaci in developing their profiles and marketing their skills to the targeted colleges and their coaches. Calls will be made to targeted colleges to ensure admissions requirements and provide updates of games stats etc. Videos will be uploaded on national recruiting sites as well the Eels web site and Team App. We will continue to provide our biweekly news letters to head coaches and assistant coaches. NCSA will also be working very closely with the Eels staff and players and their families in targeting scholarship and grants. This added service will augment Fastweb scholarships school funding and college scholarship work books maintained at the Eels. As always, we leave no stone unturned. This new partnership will have enormous benefits to our players. So many Junior programs do little or nothing to advance its players. The Eels have always been in the forefront in advancing its players and this partnership will open up so many more avenues for our players. The Eels again proven to be the leaders in the Junior hockey industry. The Florida Eels Are Pleased to Announce Rajhan Munnings Has Committed to Thomas College For the 2018 Academic Year. This is the Florida Eels’ 14th college commitment this season. The commitment raises the Eels advancement to of its players to 225. Now that is impressive. Rajhan 6’3” 180 pounds is from Turks and Cacaos He is a 4-year veteran with the Eels program. He came to the Eels from a true “Non-Traditional Market. Rajhan is a perfect example of the Eels player development model. He started on the Eels Midget team moved up to the Empire squad, then the USP3, the Elite team and last season he advanced to the Premier level. Munnings had several college options both in the Midwest and the Northeast so it was a difficult decision to make. He took painstaking time to discern the right fit for him. Thomas College is located in Maine and perfectly fit that bill 100%. It is well know Nationally for its exceptional Business program; that is what Rajhan wants to major in. It is a small New England College and Rajhan likes the atmosphere and individual approach to Thomas College. Rajhan is very excited to be playing for Head Coach Jeff Ross and assistant coaches Joey Waraskevich and Brian Westella. Coach Waraskevich has seen Rajhan play at the USPHL Nationals and several other showcases and loves what he sees. Rajhan is a very offensive minded individual with great vision, good puck control and has a high hockey IQ, and will lend a true spark to the Thomas College Terriers. They love the way he moves the puck up the ice and jumps in on the play. He is a consummate threat on the blueline commented coach Waraskevich. Premier Head Coach Frank Scarpaci commented that Rajhan has the strong will to win. Coach Scarpaci personally mentored Rajhan over the 4 years in the Eels program. Rajhan is a true leader and has served as assistant captain for the Eels. He makes a nice first pass out in the D zone and plays the modern style of defense in jumping in the play and supporting the rush. He is smart though, and won’t get you in trouble. He is an extremely dedicated and determined player. He loves to score and pushes every player to ignite and fire up the guns. As all Eels know, however, DEFENSE FIRST. He will do anything humanly possible to deny the opposing team’s offense. His enthusiasm and attitude is contagious echoes Coach Scarpaci. General Manager Frank Scarpaci says Rajhan is a high character young man. He is very loyal to the Eels. He has been unwavering to the Eels program and his advancement is a testament to the fruits of his efforts. Great team guy. Rajhan was a great mentor to many of the younger guys on the team. He led by example often shooting 100+ pucks per day to improve and elevate his game. Rajhan also worked 20-30 hours per week while playing juniors. This effort shows his willingness to lay everything on the line to play for the Eels and make his team #1. He will undoubtedly become a terrific student and citizen at Thomas College. .
Rajhan is a young man we are very proud to have had as an Eel. He comes from supportive parents, his dad sadly past away last year, his mom, Paula has made enormous sacrifices for her son to realize his dream of advancing to college and play college hockey. His accomplishments of reaching the Next Level is not easy. If it were everyone would achieve that goal. Rajhan was a very determined and dedicated young man who had one goal: that was to play college hockey. Congrats Rajhan you made it. Rajhan is another great success story of the Eels and we wish him the best in his endeavors playing college hockey and studying at Thomas College in Maine. These showcases are essentially tryouts for the Eels teams for the Fall. No team in the USPHL or any other junior league has such a diversity of players from all over the World. The Eels have hosted the players to two practices before competing in the showcase games. Moreover, the Eels coaching staff has the players from both prospects teams play against the Euro Team from Sweden. This gave these players the experience of playing a very exciting brand of European Hockey. The games were fast and with a high tempo. GM Scarpaci mean while was already busy recruiting heavily at the Pro AM NHL Pre Draft. Yes, believe it or not but the season is right around the corner. Indeed, the Florida Eels training camp is only 15 days away. For over a decade, as part of the Eels pre-season training and evaluations, the Florida Eels scrimmage several area ACHA college teams as a way of gaining experience for the boys as units. In years past the Eels have played FGCU both Division 2 and 3 teams, University of Florida, USF, University of Tampa, Palm Beach State, Emery Riddle, and FAU. When we traveled up to Massachusetts we have played New England College, Bridgewater State and Sacred Heart and several other programs as well. This week we will be scheduling our games with several colleges for the upcoming training camp. Florida Eels Premier coach Frank Scarpaci echoes, “These games allows the coaches to get its players into game conditioning. It is one thing for the guys to go through training and drills and even intersquad scrimmages, but it is an entirely different scenario when the players compete in games. The college players are often more experienced with 3+ years of juniors in their belt and are often 3+ years older. Additionally, the coaches get to test lines, positions, and over all strategies before they play regular season games”. GM Scarpaci says, we expect this year to have 4 games vs. the colleges and that will be plenty of time to be able to help craft the early season line ups. Elite Coach Alex Sanchez comments “these games are an excellent forum for players to work through many of the new systems set in place during the training camps. We have quite a few new guys joining us this season. We can make adjustments early before the season hits. The scrimmage games will be set before the regular season thus enabling the coaches to better prepare for consequential games. They have in the past proven invaluable” Details to follow….